Today at the Parker Meridien Hotel in New York City, Sony announced three highly anticipated new cameras, ushering in powerful new technologies aimed to improve the experience of photography for everyone. Let’s take a closer look at each. Let’s start with the Sony α7R II, the successor to the original α7R and the newest flagship Mirrorless interchangeable lens camera. The entire α7 line has brought about many significant industry-firsts including the first to introduce 5-axis in-body image stabilization and the first to offer a Mirrorless full frame interchangeable lens system. Now with the α7R II, Sony is the world’s first to bring a back-illuminated full frame sensor with an increased resolution of 42.4 megapixels. This back-illuminated full frame sensor technology also provides high light sensitivity, expandable up to ISO 102400 for still images, and improved AF, clocking in at up to 40% faster than the original α7R, thanks to the 399 focal-plane phase detection AF points. Sony has also improved on the exposure process by adding a new reduced-vibration shutter that is highly durable and is capable of shooting in Silent Mode, whereby sensor vibration and movement is eliminated. This new shutter has a durability rated at 500,000 cycles when using the electronic front curtain. The α7R II is capable of shooting and recording 4K video in multiple formats, including Super 35mm crop mode (without pixel binning) and full frame mode, also a world’s first for digital cameras. And thanks the advanced XAVC S codec, the α7R II can record at 100 Mbps with 4K recordings and 50 Mbps with full HD recordings. It also supports 120fps HD recordings (720p), Picture Profile, and S-Log2/S-Gamut. Like it’s sibling, the α7 II, the α7R II now has improved ergonomics and tuned 5-axis in-body image stabilization specifically engineered to support the expanded resolution of the sensor. It also has an updated XGA OLED Tru-Finder with the world’s highest (0.78x) viewfinder magnification. The Sony α7R II will be available in August for approximately $3200 at www.store.sony.com and a variety of Sony authorized dealers nationwide. The release of the α7R II is also going to be joined by an addition of 8 new FE full frame lenses by early 2016, bringing the FE lineup to 20 lenses. Sony also released updates to two of its most popular Cyber-shot cameras with the ultra-pocketable RX100 IV and the exceptionally versatile RX10 II. Leading the charge for both cameras is the world’s first 1.0 type stacked sensor, which allows for more than a 5x increase in the readout of image data compared to both previous models. This new technology allows Sony to include features in both cameras that have previously only been available in a few professional-level video cameras. 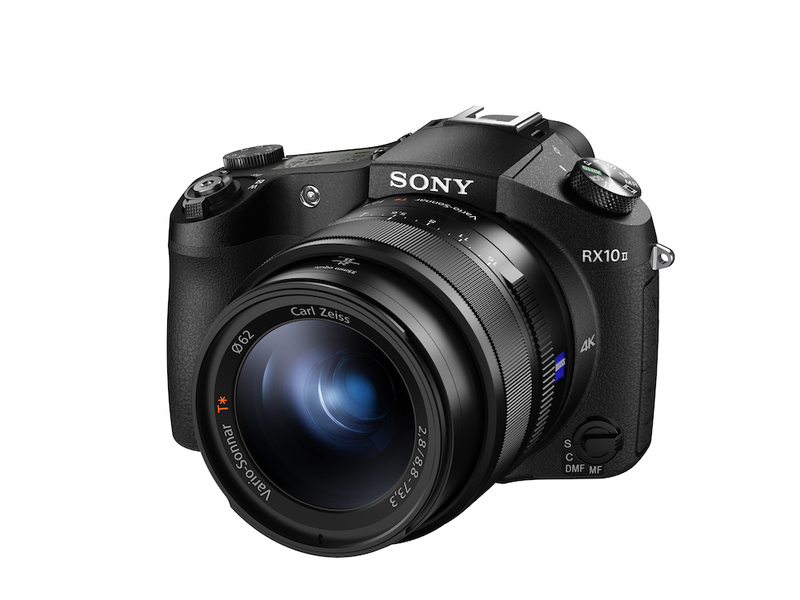 The RX100 IV has a 20.1 megapixel sensor and the RX10 II has a 20.2 megapixel sensor. One such technological advancement included in the RX100 IV and RX10 II is the ability to record video at rates almost 40x slower than the standard rate. Users can choose to record super slow motion video at frame rates of 960fps, 480fps, and 240fps and playback formats of 60p, 30p, and 24p. To give you a better idea at how well you will be able to capture fleeting moments, it would take about 80 seconds to play back just 2 seconds of footage recorded at 960fps and 24p. The increased processing power brought with the new 1.0 type stacked sensor also allows both cameras to capture fast moving subjects easier with improved burst modes. Now, the RX100 IV can capture photos at a continuous speed up to 16fps and up to 14fps on the RX10 II for an extended period of time. The improved sensor performance also allows both cameras to use a high speed Anti-Distortion shutter with a max speed of 1/32000 second, resulting in sharp, clear images even at a wide open aperture and even during bright scenes when using the build in ND filter. Both cameras also feature an upgraded Fast Intelligent AF system, enabling users to lock on moving subjects in as little as 0.09 seconds. Like the α7R II, both the RX100 IV and RX10 II can shoot and record at 100 Mbps with 4K recordings and 50 Mbps with full HD recordings. The RX10 II is capable of recording 4K video for approximately 29 minutes and the smaller form factor RX100 IV can record 4K video for approximately 5 minutes in length. Both cameras support Picture Profile, S-Log2/S-Gamut and allow the user to capture 16.8 MP still images while recording 4K video by simply pressing the shutter button. 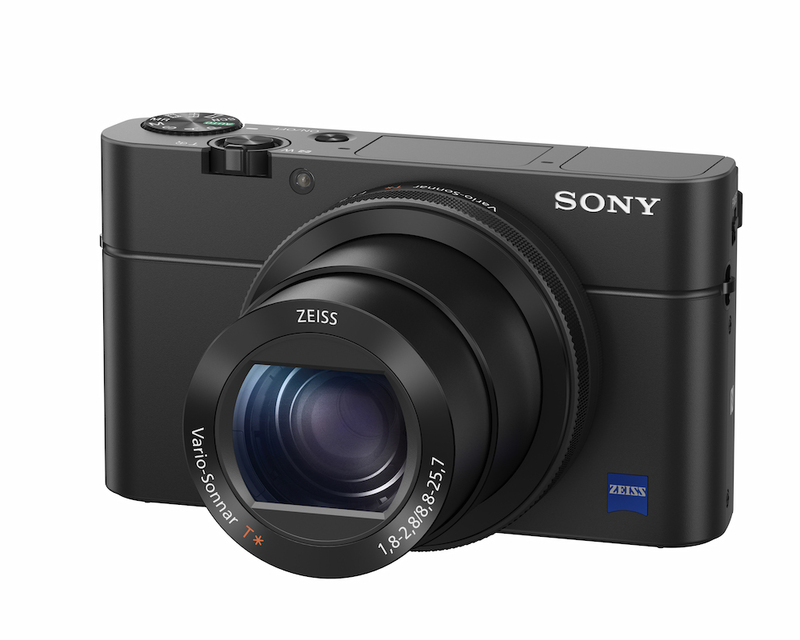 The RX100 IV retains the same retractable EVF as the RX100 III and has a ZEISS 24-70mm (35mm equivalent) f/1.8-2.8 lens. 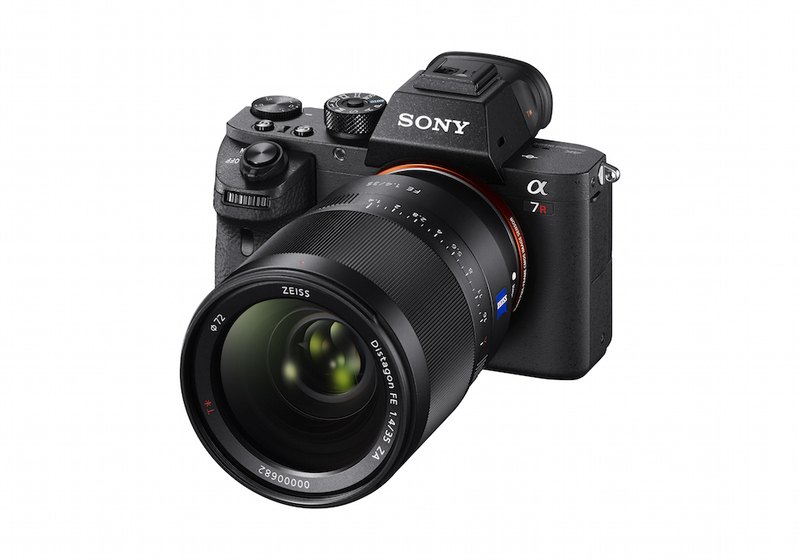 The RX10 II retains the same body design as the original RX10 and has a ZEISS 24-200mm (35mm equivalent) f/2.8 lens. Both the RX100 IV and RX10 II will be available this July and preorders will begin on June 17th. The price of the RX100 IV is expected to be about $1000 and the RX10 II is expected to be about $1300. Both cameras will be available at www.store.sony.com and a variety of Sony authorized dealers nationwide.